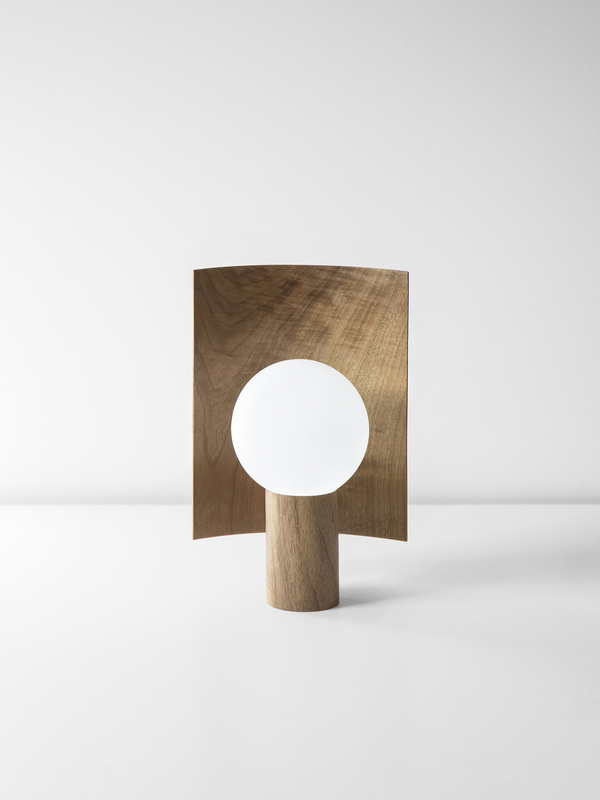 The Autumn lamp was designed and created by Ferréol Babin. Babin previously experimented in both architecture and space design, having graduated in Space Design in ENSA of Dijon, before turning his attention to product design. The idea of working on a smaller scale encouraged Babin to take an internship at Studio Robert Stadler in Paris and graduating from ESAD of Reims. Ferréol Babin’s latest design comes in the form of a table lamp made from walnut and frosted glass. The lamp, while a prototype, is full of function and style.